I love to take an object and instead of throwing it away for putting it in the recycle bin, turn it into something functional again. I needed a new storage item for my dry good, and instead of going out and buying something new, let change an old bottle, etch it and make it beautiful again! Here is a video on how to make this glass food storage item. I started with a sherry bottle that I washed and took the label off and then etched (to see how please view the video). I used the amazing stencil from Stencil Girl called Beacon. 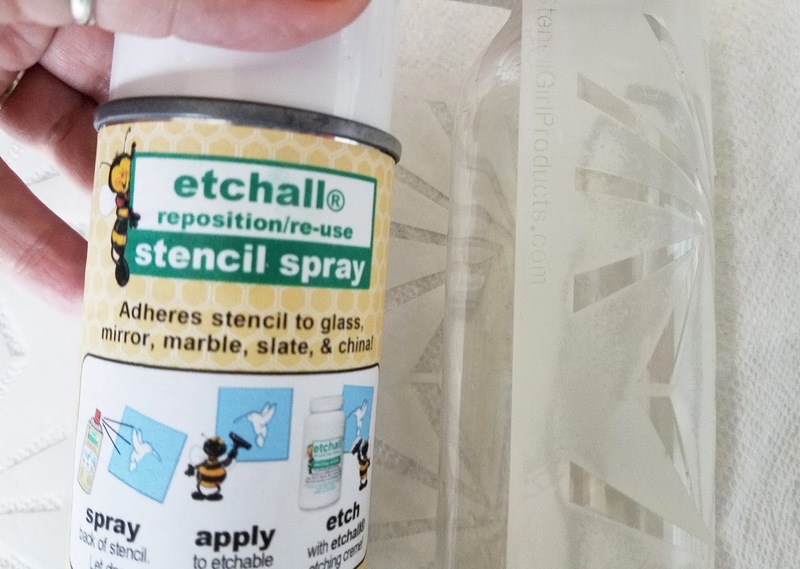 I used the Etchall Stencil Spray to stick the stencil to the bottle. 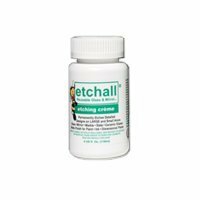 Hey guess what, Etchall has an amazing coupon code to pass along to you for playing along in the hop!! I then added the Etchall etching creme to etch the beautiful designs on the bottle. 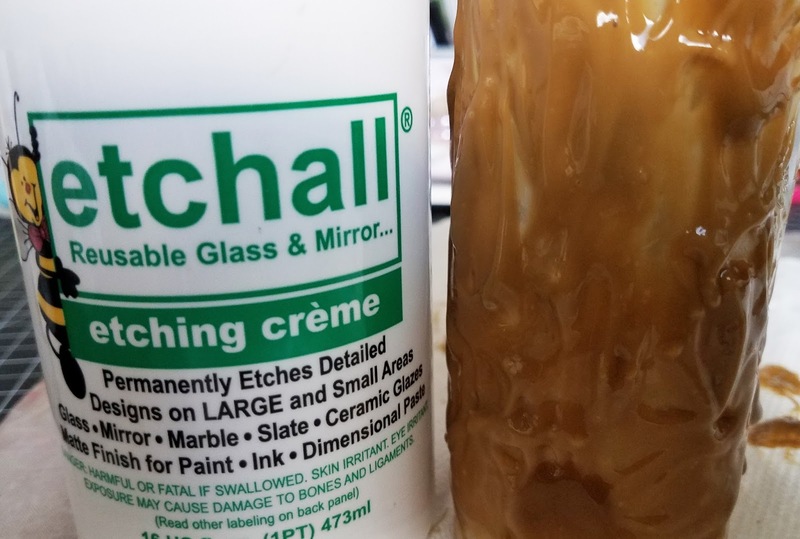 Wash of the etching creme and you have a beautiful design on your bottle!! I used mine to store forbidden black rice. I love the look as it sits on my kitchen counter!! 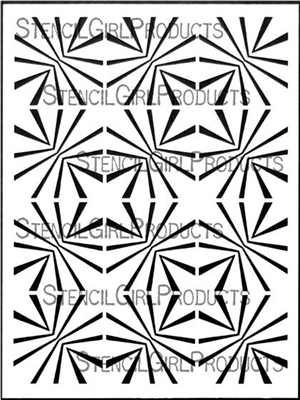 AND a $25 Gift Certificate to StencilGirl Products! Enter to win by leaving a comment below on this post. Then be sure to visit the other blogs in the hop and comment to win. You have until Tuesday, March 20th at 11:59PM Central Time to leave your comments. 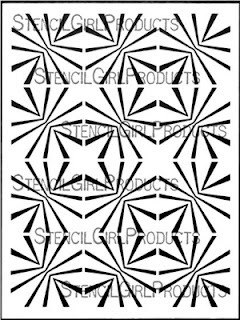 StencilGirl's Facebook page and etchall’s Facebook page on Wednesday, March 21. Erin Reed - YOU ARE HERE!! 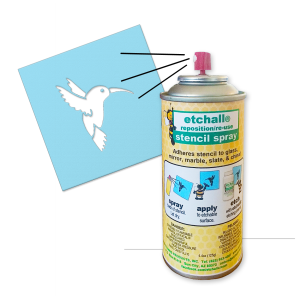 Thanks so much for stopping by, and what fun item would you stencil and etch? Interested in the supplies I used in this project? Most are listed below and some are affiliate links, which generates a me little commission (at not extra cost to you at all) when you click on the link and make a purchase. Affiliate and product disclosure can be found here. I'd etch wedding glasses for my son's upcoming June wedding! ohh, that is amazing what a wonderful gift! I always I always love your videos. That is a cool bottle and I love the design. Very nice! I think this would be fun to do on a mirror! This is so cool! I love this idea! I have never tried anything like this but I want to! it is easy and fun =- go for it!! So pretty for your kitchen! what a great bottle - love that it has been repurposed. The etching turned out fabulous! i love to repurpose - best way to craft!! What a great idea! The black beans look especially nice in this gorgeous bottle! Awesome project! Love that stencil too! This inspires me to create gift projects. Thank you for sharing. DIY gifts are amazing, i love that idea!! The effect of the etching is stunning. 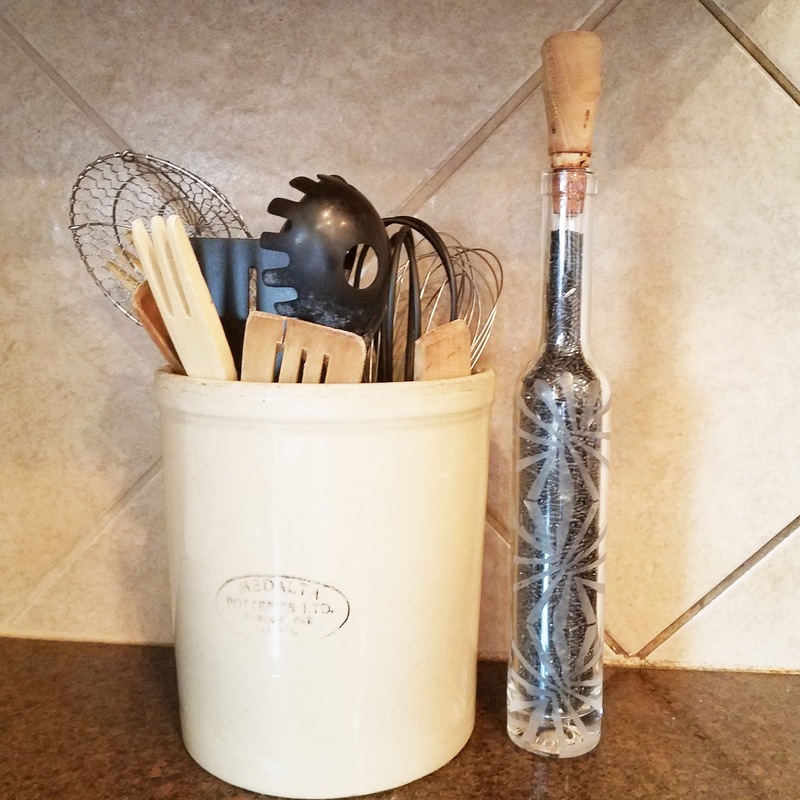 It's great that you made a beautiful container from an upcycled item! the bottle is so fancy. Looks fantastic on the shelf. This looks great! I love the stencil and the fact that you recycled. Love this! I think I would stencil mason jars for storage in my kitchen. It's nice when the storage is pretty to look at when you have to keep things on the counter. Love it Erin! I think I'd etch jars - I like to keep my walnuts, almonds, etc in jars as I think they stay fresher! Thanks! Thanks so much for leaving a comment, they mean so much to me!! I am blessed to work in an industry I love. 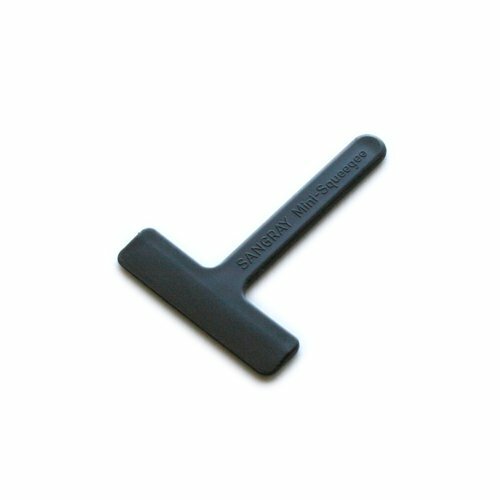 As a project designer and instructor I am often given products to work with. Some of the products I work with have been given to me by companies I design for or sold to me at a discounted rate. While this in no way controls my content (I only use and blog what I love) the government says I have to tell you that I might have gotten some things for free. 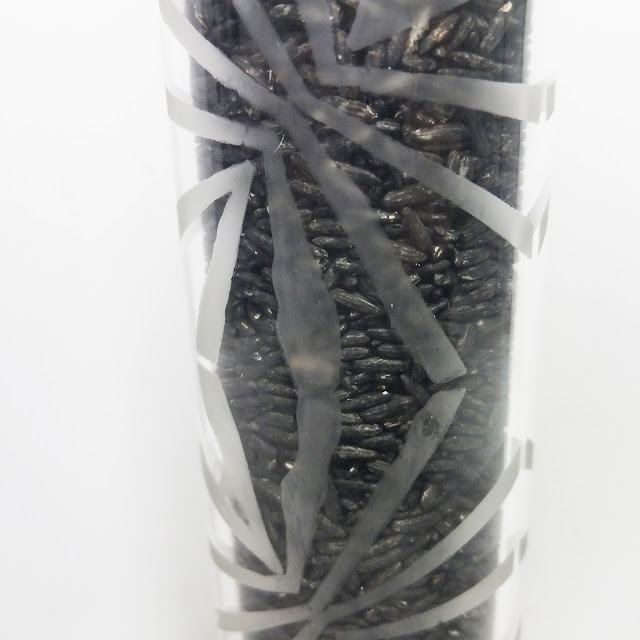 Paper Tube Seed Starters - Cute Party Favor or Gift!